George D Kelleher was born beside the River Lee where his home overlooked the ruins of the Royal Powder Mills in Ballincollig. During his early education at Presentation College, Cork, he showed a marked interest in political history. 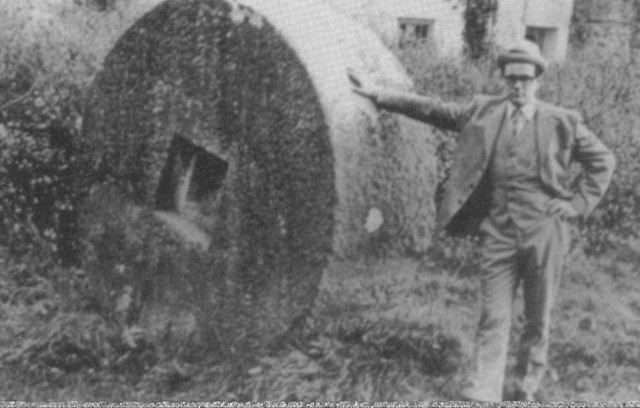 His subsequent career in commerce and industry gave this a new direction towards industrial archaeology and he embarked upon a history of the Ballincollig powder mills under Professor John A. Murphy at University College, Cork. As a member of the National Monuments Advisory Council as well as the Cork County Monuments Advisory Committee, he was an early advocate of the conservation work of the powder mills which was eventually carried out in the 1990s by Cork County Council. With his natural gift for research, he examined not only Irish records but the 19th and 20th century archives of successor explosives and armaments industries all over Britain. This ultimately expanded his thesis to include a complete study of Ireland’s war industries. He died in 1987 at the early age of 41, and made history in another sense by becoming the first student of UCC to be awarded an MA posthumously. Ireland’s War Industries” by his brother John in 1993.
was unveiled on Saturday 25th October at the west end of the Regional Park. It was through the dedication and persistence of the late George Kelleher that the importance of the Gunpowder Mills and the uniqueness of the Regional Park began to be appreciated. The Musketry Local History Societyorganised the plaque and The Cork City Lord Mayor [Cllr.Brian Bermingham] did the honours. 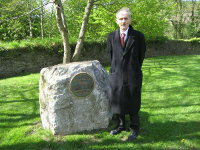 The Muskerry History Societycommemorated his contribution with a special plaque at the western end of the Regional Park. 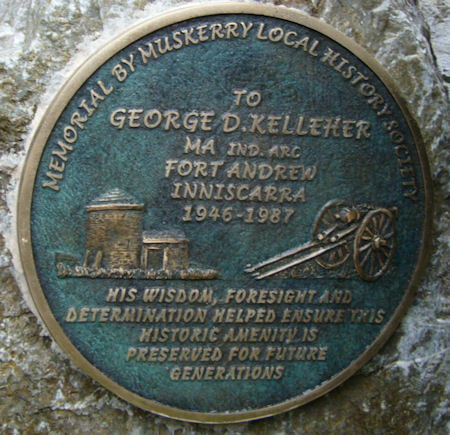 George Kelleher was the first to recognise the significance of the gunpowder mills as an industrial archaeological site, worthy of preservation. this gives the definitive history of the site. It can be found in the reference sections of the County Library.